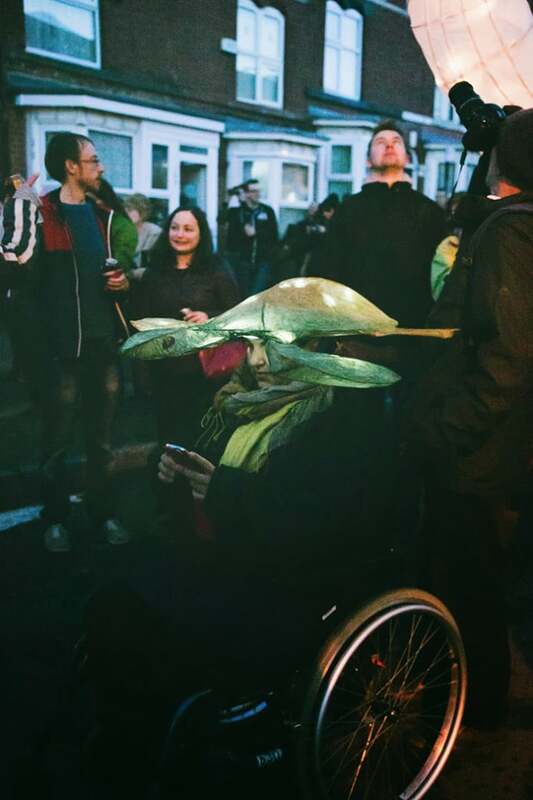 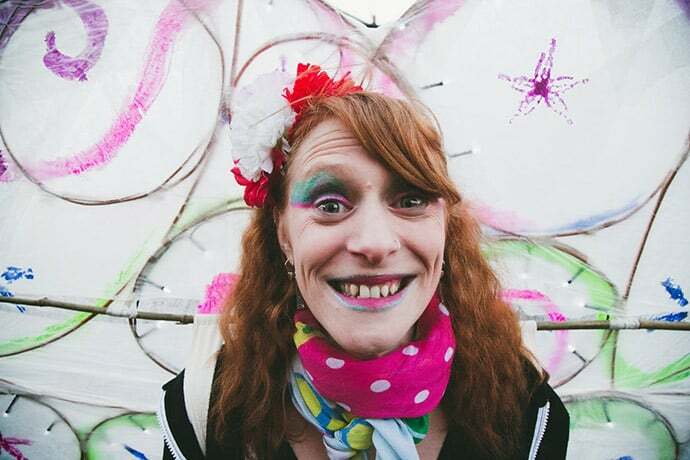 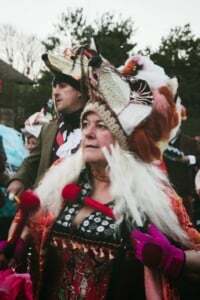 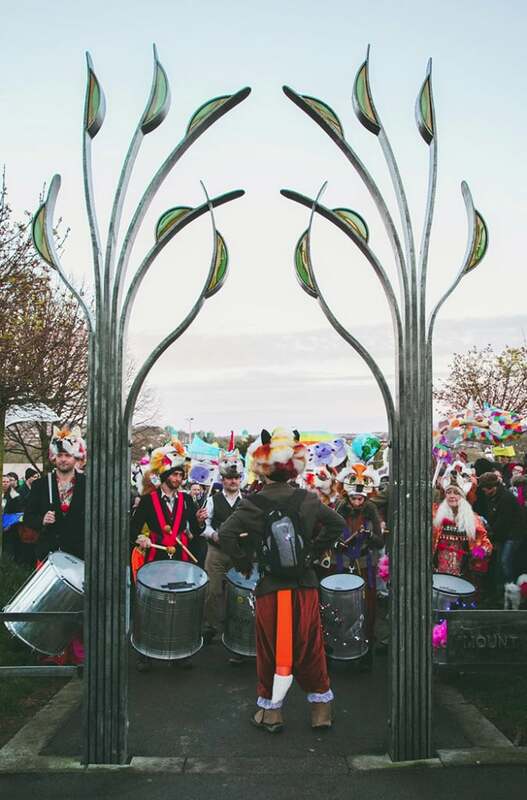 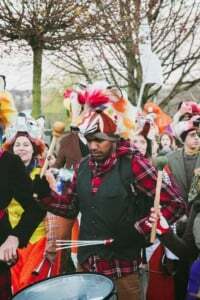 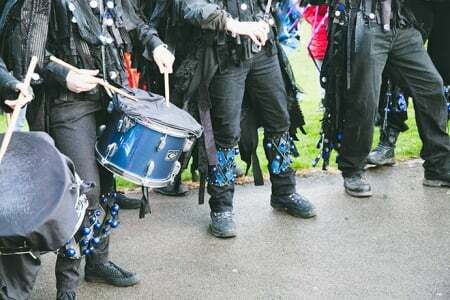 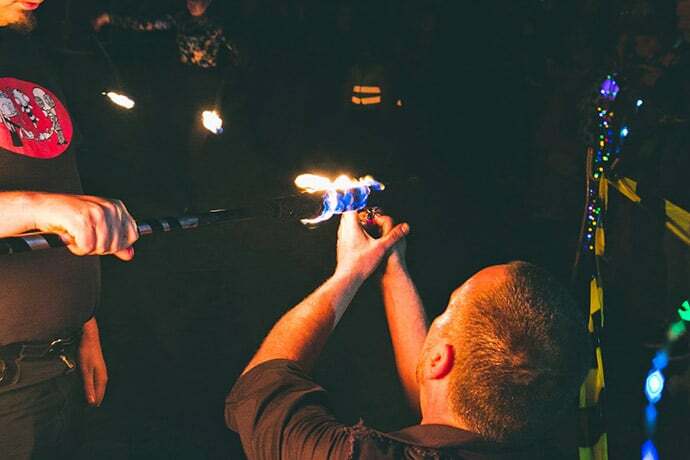 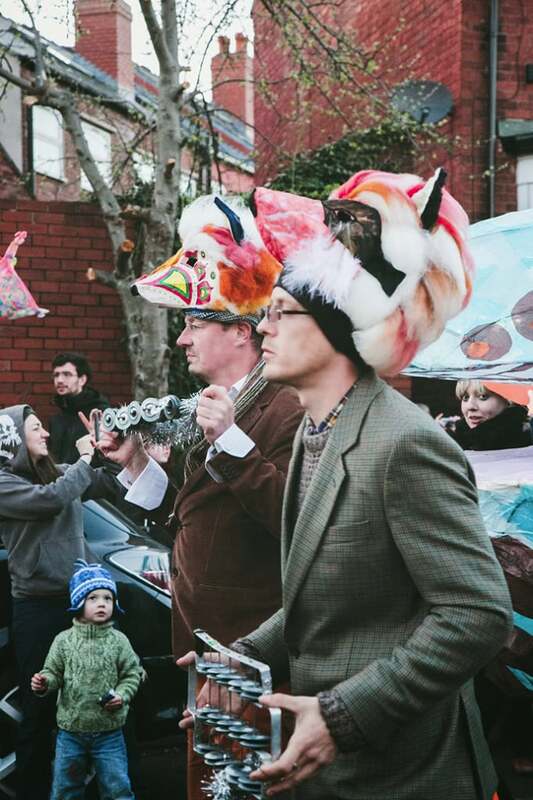 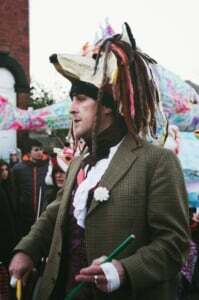 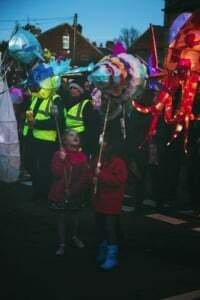 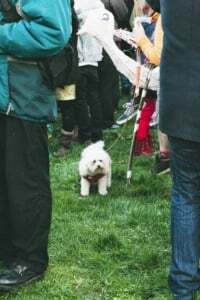 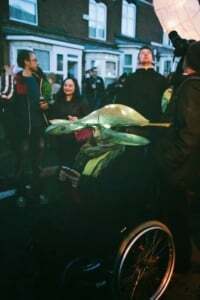 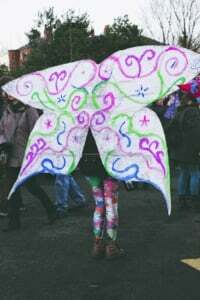 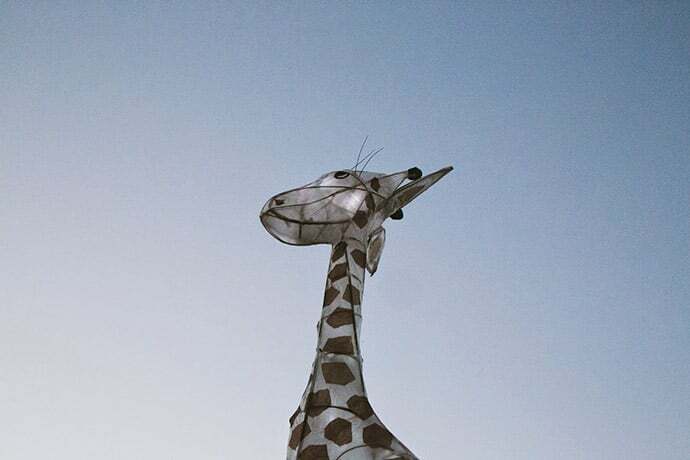 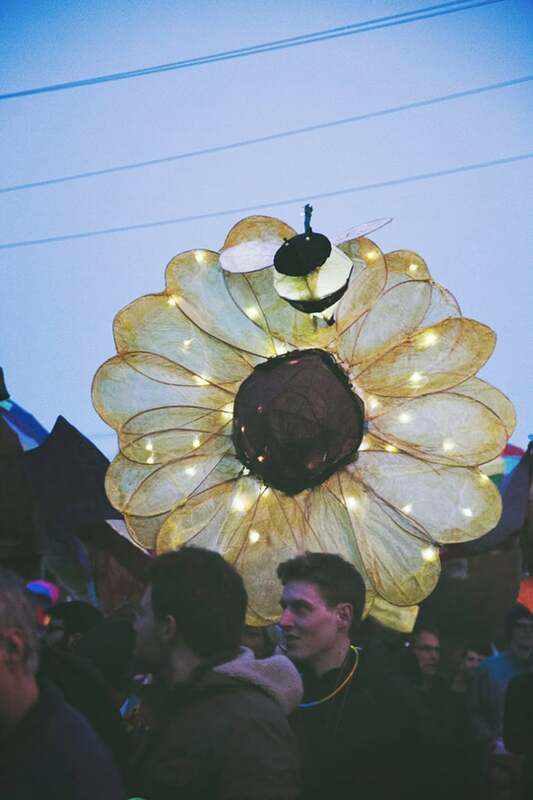 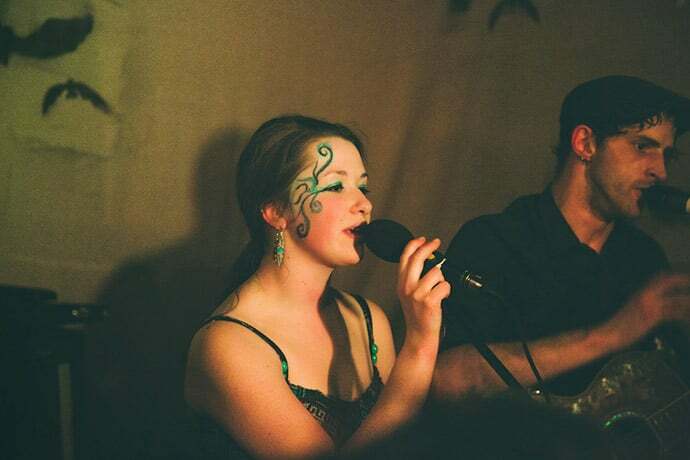 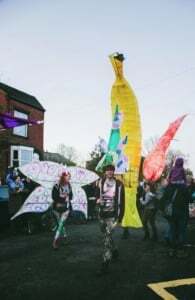 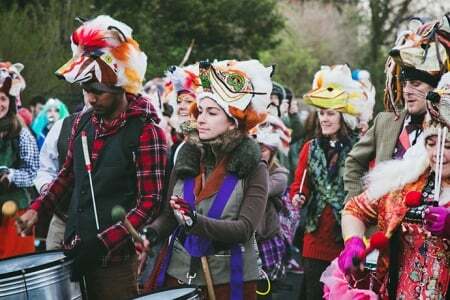 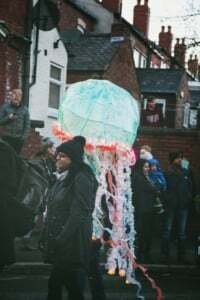 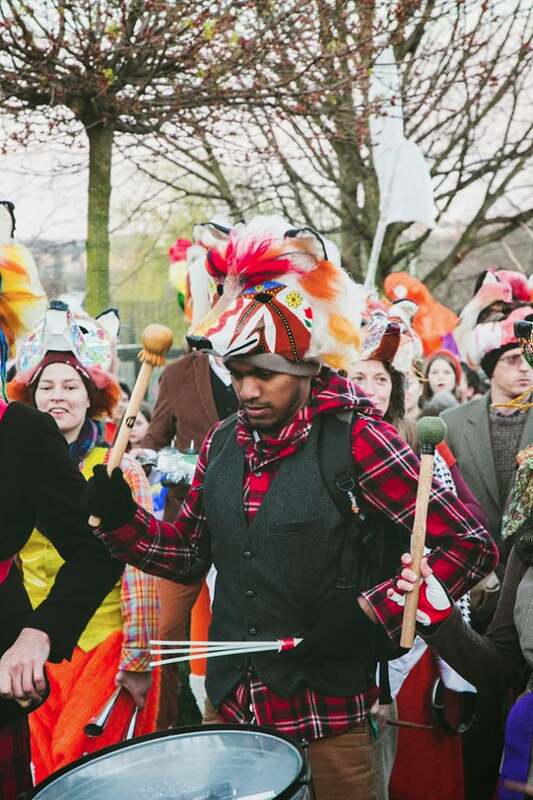 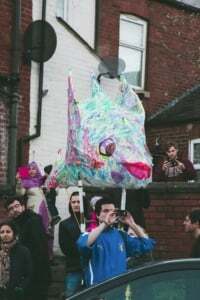 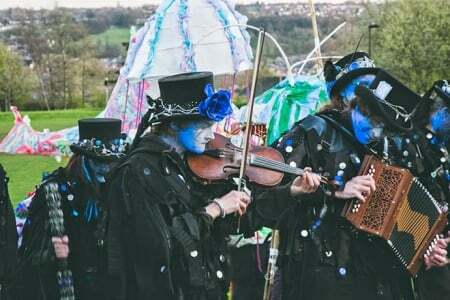 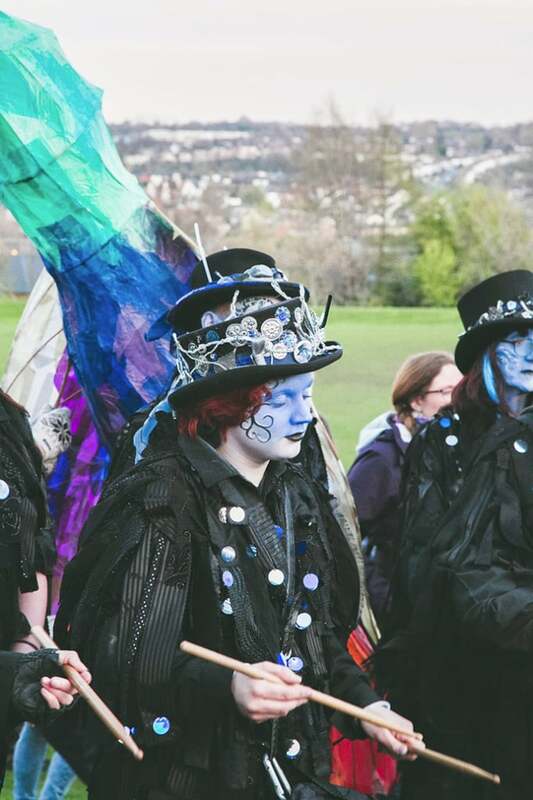 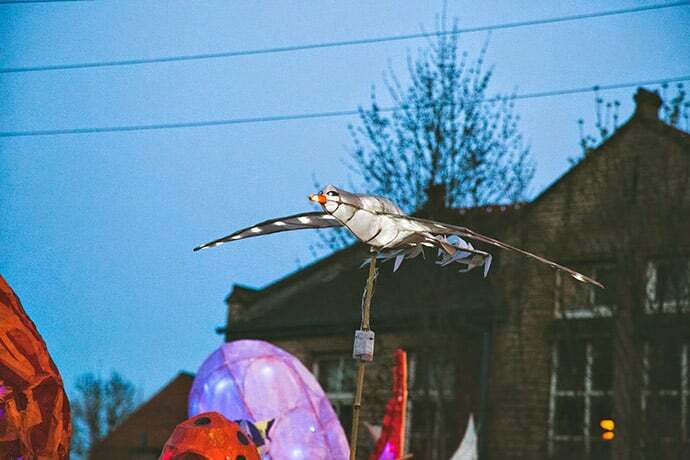 Exposed photoblogger Ellie Grace takes us Through The Lens into the weird and wonderful world of the Sharrow Lantern Carnival. 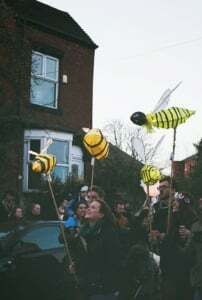 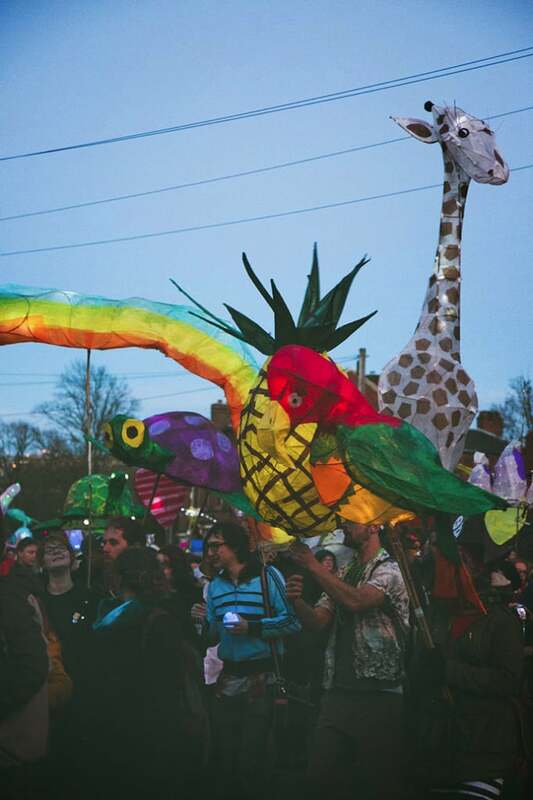 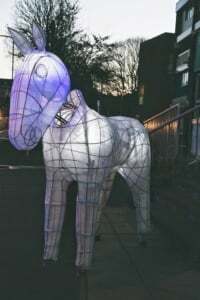 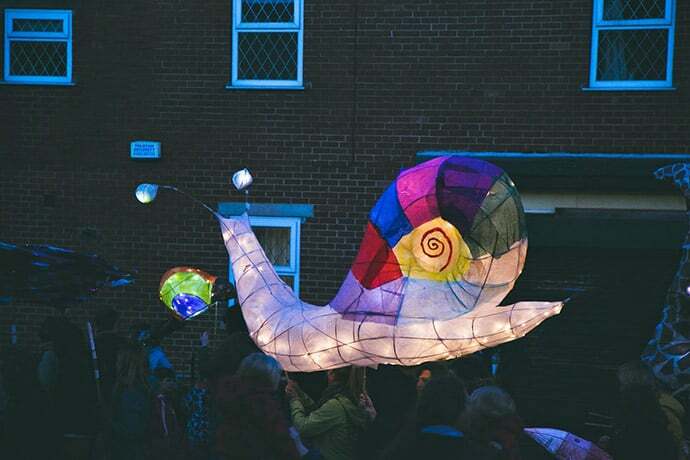 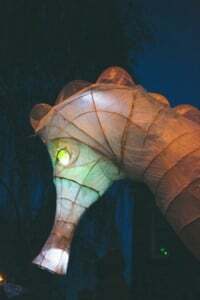 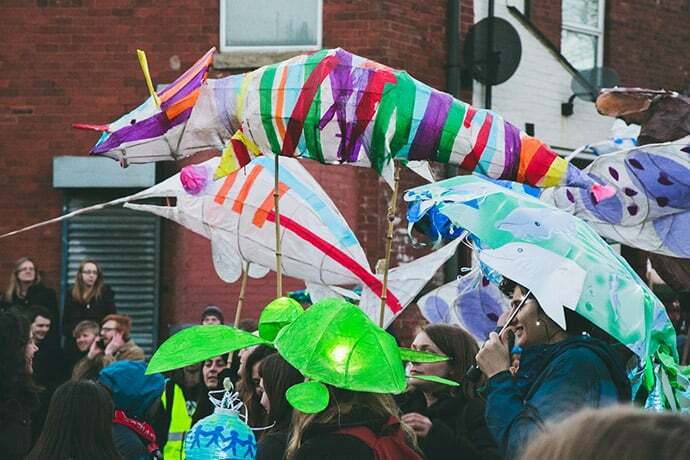 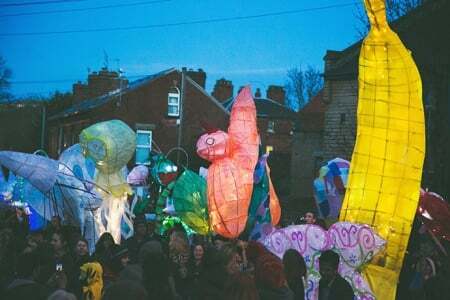 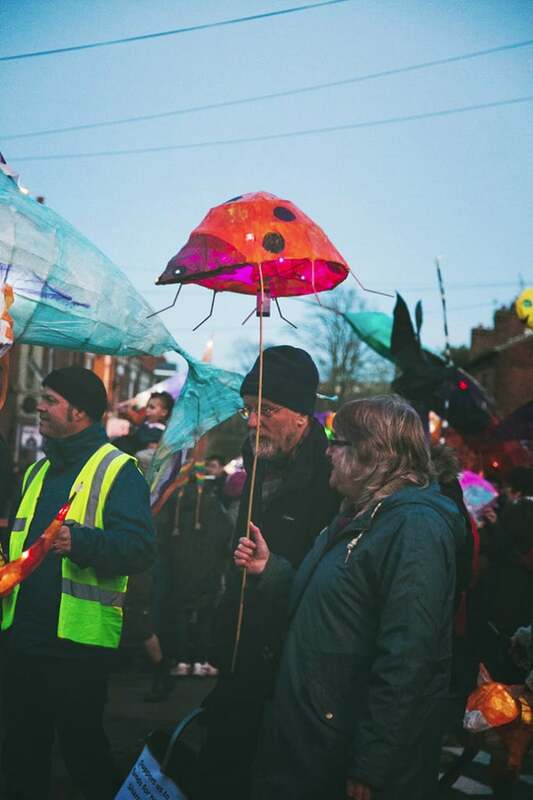 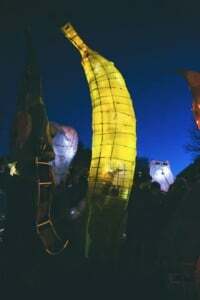 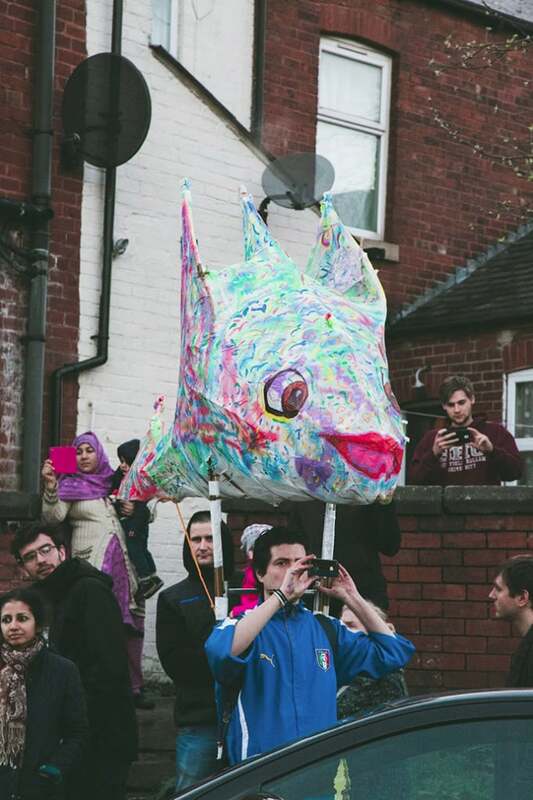 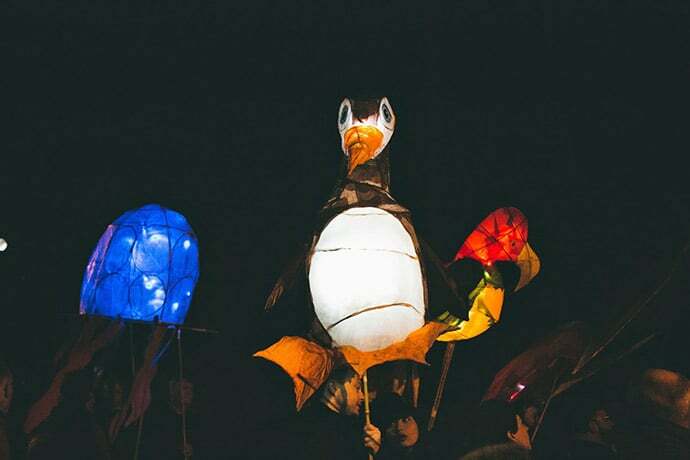 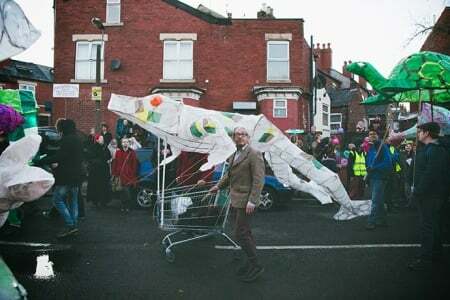 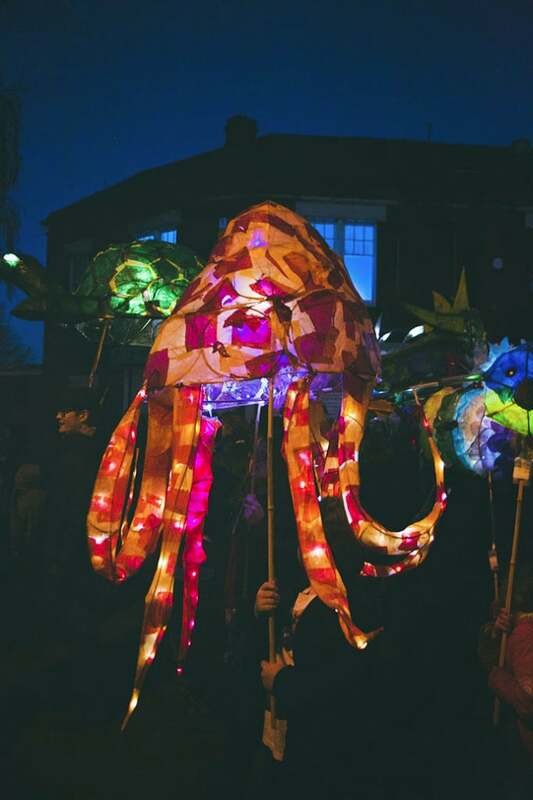 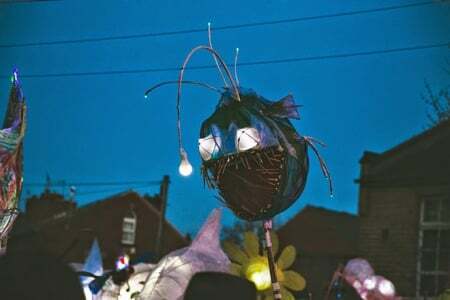 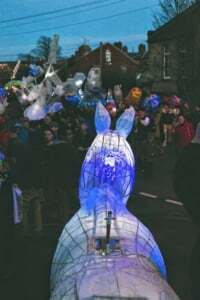 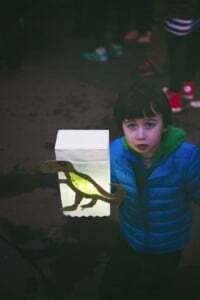 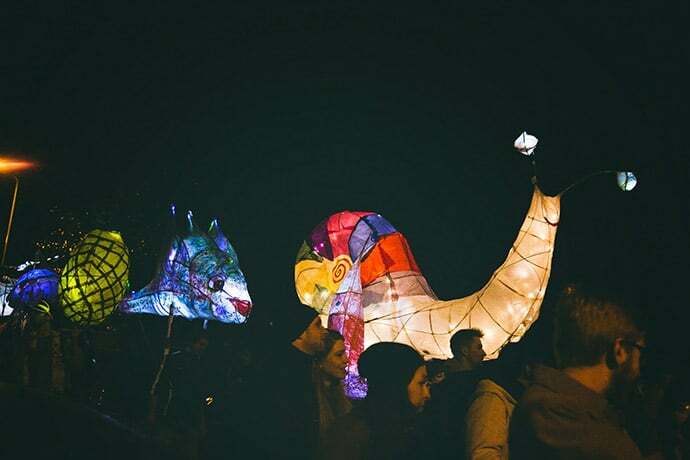 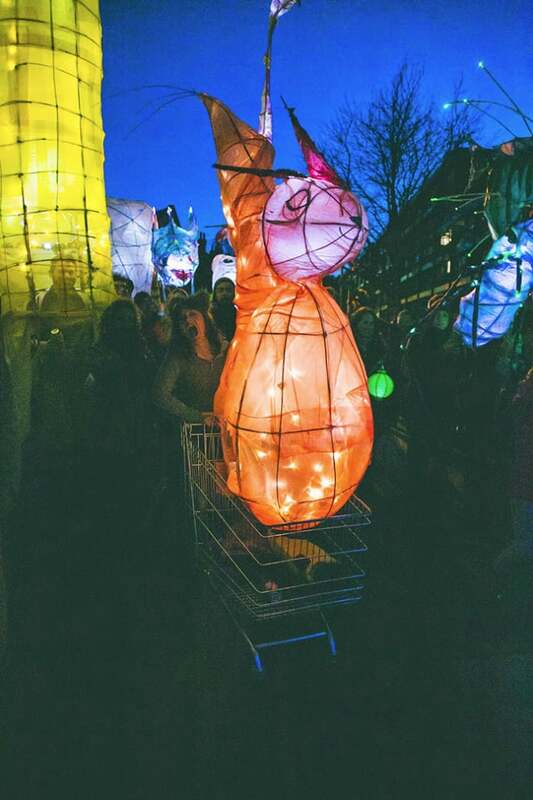 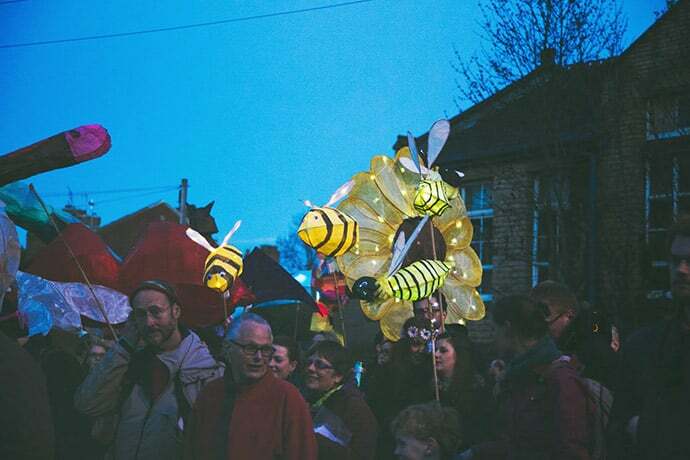 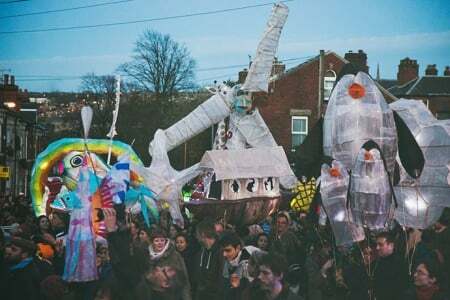 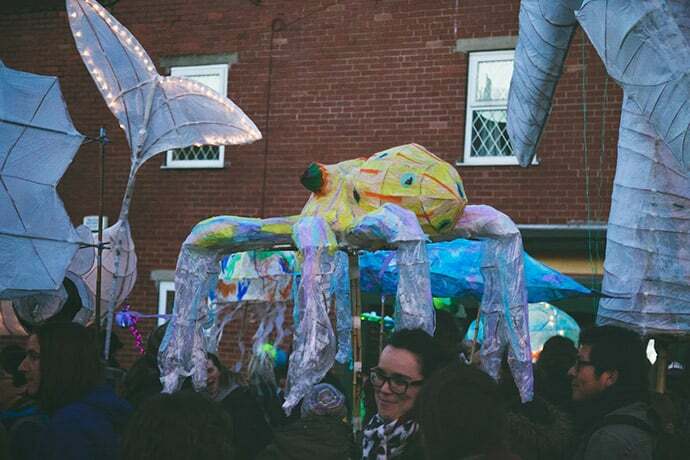 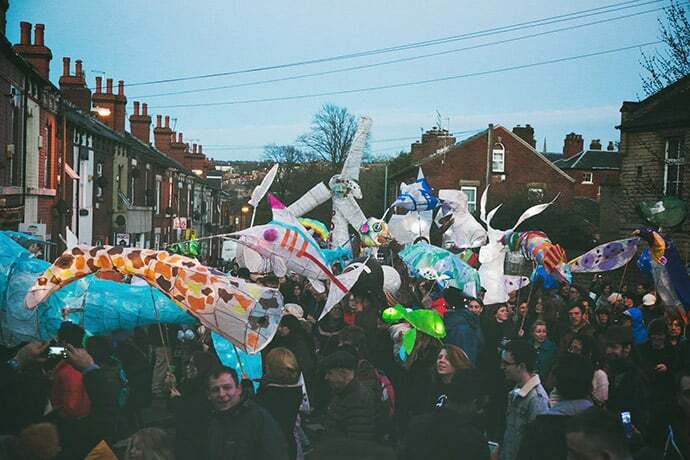 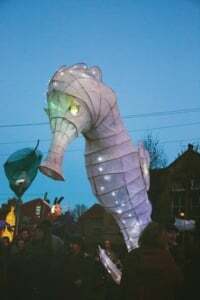 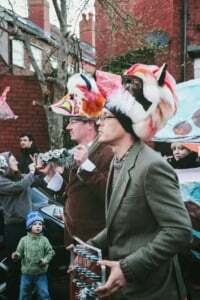 This year was the 11th annual Sharrow Lantern Carnival, with the theme of ‘Life on Earth’ leading the way. 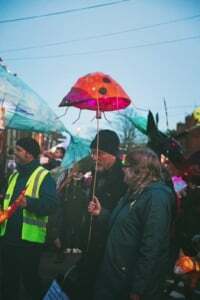 Before the big event I went along to a couple of the lantern making workshops, where I devised a a turtle hat so I could still take photos and have a lantern – someone else ended up finishing this off and it was put to good use in the carnival parade. A lot of people created some of the most beautiful lanterns I have ever seen, ranging from a leaf, to a butterfly, to a banana and to my personal favourite; a basking shark with actual fish in it’s mouth! The procession started with a great performance from some blue faced morris dancers and then moved onto being lead by some rhythmic foxes with drums. 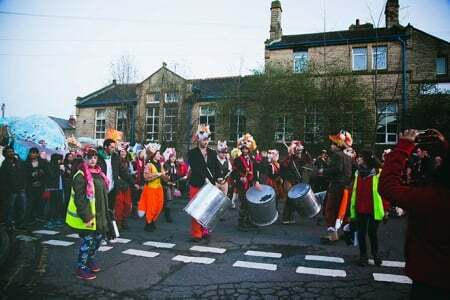 After walking the streets of Sharrow we were all lead into the cemetery for a wonderful performance from local bands and some great hula hooping and fire performers. 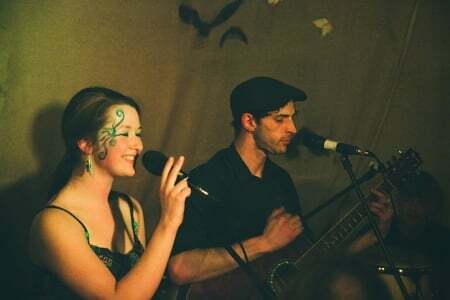 Finally it was off the The Cremorne for more live music. All in all it was an amazing evening and I thoroughly revelled in the community feel, so hats off to the organisers and an even better well done to those creative people who made the lanterns! 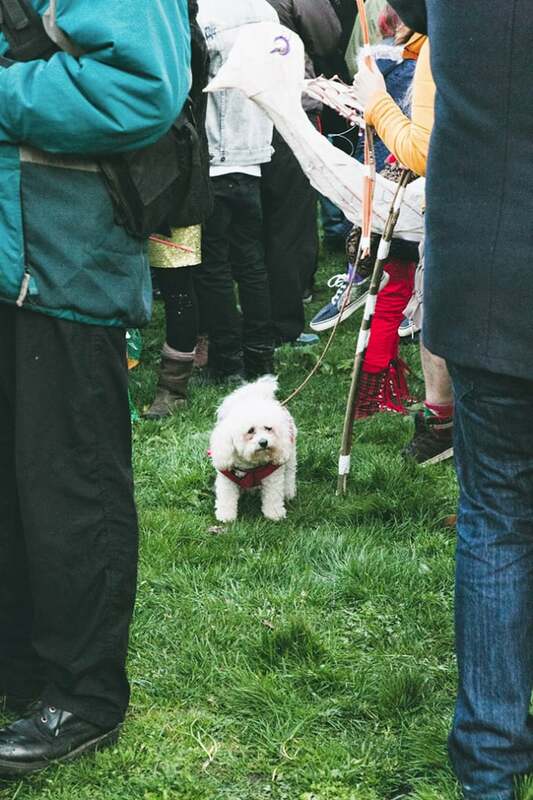 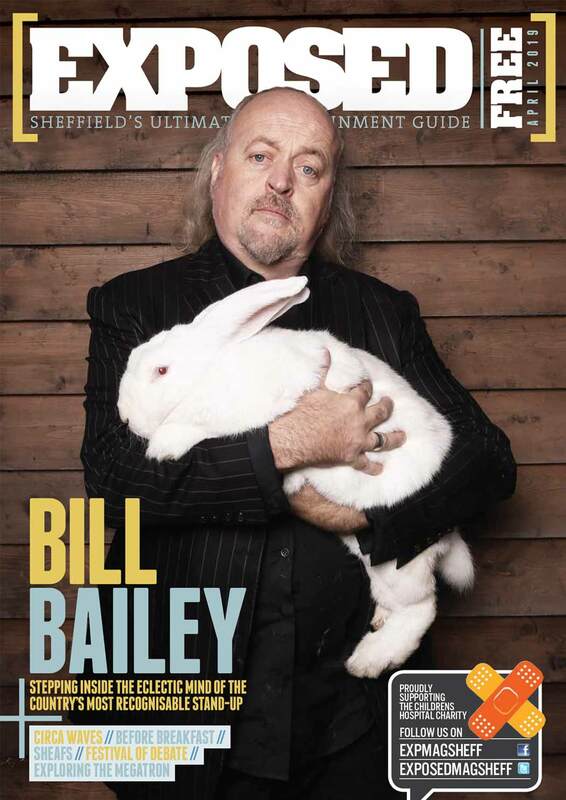 For more from Ellie Grace’s Sheffield Through The Lens blog, head here.